Residents have been moved out of a troubled Calderdale care home, Council chiefs have revealed. 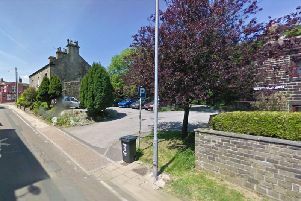 Elm Royd Nursing Home in Brighouse has reportedly been closed after coming under inspection by the Care Quality Commission. Eldercare Ltd, the private company that owns Elm Royd, confirmed the home’s closure, but did not provide details about the circumstances behind it. This follows a previous inspection in March where the care home was branded as inadequate. The damning findings were based on two unannounced visits in December last year, during which there were 39 people in residence there. Major criticisms included medicine and prescriptions not being managed safely, the service not being caring and responsive enough and a lack of staff and training. According to the Council’s Cabinet Member for Adults, Health and Social Care, Councillor Bob Metcalfe, Elm Royd had failed to make the improvements required by the CQC, prompting the Council to step in and intervene. On June 12, they began working with residents to find a suitable alternative home. At present, all residents have now been relocated to new accommodation. It is not yet known whether the closure will be permanent, as the CQC’s inspection is still ongoing.